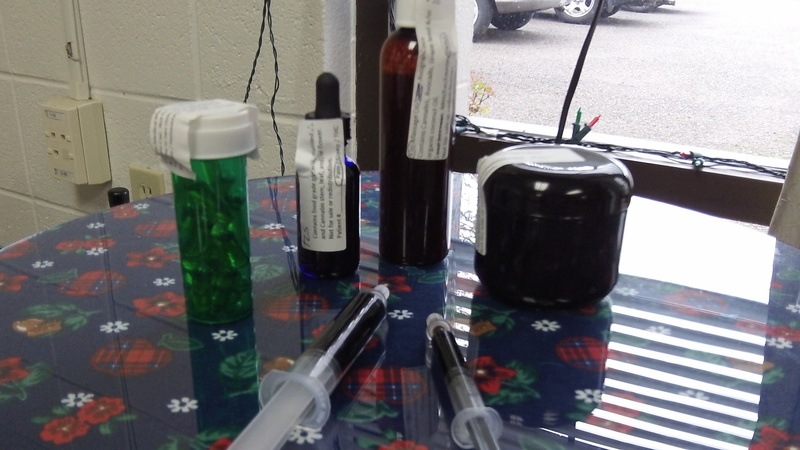 Various forms of medical marijuana, still free from regulation. One main appeal of marijuana for medical use, I would imagine, is that it is NOT part of the system of officially approved and hugely expensive medications. It has not become another profit center for Big Pharma. Albany City Councilman Floyd Collins suggested last week that medical pot advocates should work to get the substance regulated as a controlled substance by the FDA and approved for certain uses. But that is exactly what should not be done. Critics complain that unlike approved drugs, medical marijuana has no list of officially sanctioned indications, no prescribed dosages to be taken in a certain manner for prescribed periods of time. Of course it doesn’t. So when officials like council members complain — as some in Albany have — that a few Oregon doctors have been too lax or careless in “prescribing” medical marijuana for people, the critics are using the wrong term. State law does not call for “prescriptions.” It merely allows physicians to authorize people to have and use marijuana if the people say it helps them with some physical or mental ailment. With medical marijuana, it’s up to citizens to decide on their own what helps them and what they can afford. That’s an expression of liberty that is rare today. If it’s a pretext in some cases, so what? Whom does it hurt? Consider what happens in the prescription drug industry. Say your eye doctor prescribes drops to reduce pressure that is destroying the optical nerve. You go to buy some and are told the price for what looks like about one cubic centimeter of the stuff is $30. Wait, you say, I have insurance. “Oh, well, in that case your price is $8.” A month later the insurance company sends you a statement recapping its own contribution: one dollar and 45 cents. So the total price of the stuff was $9.45 for less than a thimble full, but they were ready to charge 30 bucks if someone was willing to pay it. It is a matter of liberty. And I support a person’s freedom to self-administer marijuana anyway they want to in the privacy of their own home. But let’s get rid of the notion that combusting marijuana and inhaling it is “medicine” or safe. THC, the main psychoactive chemical in marijuana, is what the “patient” craves. THC has been available in pill form since 1985 and avoids the hazards of smoking. THC is also available in many other un-smoked forms. Smoking is an inherently unsafe delivery method for any therapeutic agent. Calling smoked marijuana “medicine” makes a mockery of real sickness. Let’s move the debate away from “medicine” and to legalization for freedom’s sake. If Colorado is used as an example, that “gouging” will come with recreational-use when that arrives this fall… The OMMP card-holders will not have to face that. Albany has a wonderful opportunity to further regulate the medical-dispensary process — over & above what the current state regulations state. I hope we can overcome some baseless fears and help the patients — as it may become moot in November. What patients don’t like about the synthetic THC pills is that they are straight THC and don’t contain the CBD from the Cannabis plant that counteracts the high – (not all of them want to be high). The straight THC high is very unpleasant. ( http://www.cannakitchenandresearch.com/product-information.html 541-981-2620) we make a variety of Smokeless Cannabis Remedies to help people get well and be pain free. We make capsules, tincture, salves, suppositories, liniment and more to help patients treat pretty much anything that ails them. We are able to make them in varying strengths and from various strains to zero in on what the body needs. Where I feel the city council of Albany is falling down on the job is this: Several members admitted that they have NO intention of voting against the “moratorium” no matter what. I feel this is an example of democracy failing. What happened to polling your constituents and not just the ones a politician agrees with? When a referendum vote was suggested to them, they came back with statistics that were several years old to “prove” Albany residents do not support medical marijuana. Now I remember that vote. What they said is true, but several votes in the past. If something like this is controversial, as this subject is, then why don’t or won’t they do a referendum vote? They also admitted to knowing this issue was on its way but didn’t want to deal with it. Now I hear complaints that this came up sooooo fast. What? There are three city council members that won’t even listen to facts (except those they want to hear), and I would recommend doing the only thing that voters are able to do. VOTE THEM OUT!!!! Then they will no longer have to be concerned with dealing with this issue except as private people. Private people have the luxury of only paying attention to their own wants, but those who hold public office shouldn’t.